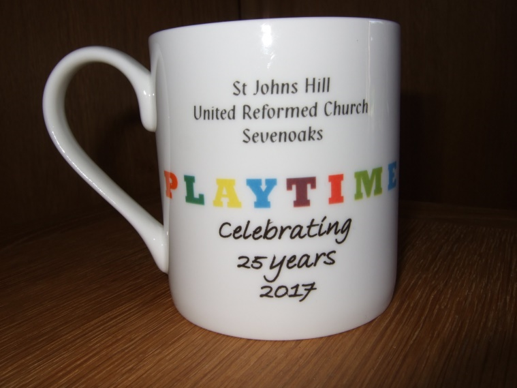 On Monday 10th August 1992 a committee meeting was held to inaugurate a Parent and Toddler Group at St Johns Hill URC. This was the initiative of Ann Gard, who became the first Chairman, with Mary Shearman as Treasurer and Gwen Robinson as Secretary. The group began on 16th September, so we are now celebrating our 25th year! 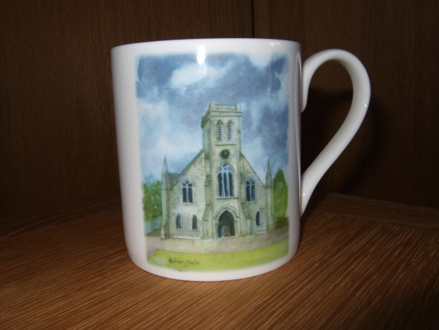 We were delighted to have this milestone commemorated in the design of a new set of Church mugs, and we would like to thank Maureen Downing for arranging this. When parents and carers sit down to enjoy a welcome drink as the children play on Wednesday mornings during term time, they really appreciate both the refreshment and the support given by dedicated volunteers. ‘Thank you’ to everyone who has helped to make this enterprise such an enduring success!